SaskUrbEx Blog – The official blog for SaskUrbEx. Documenting our past through exploration. 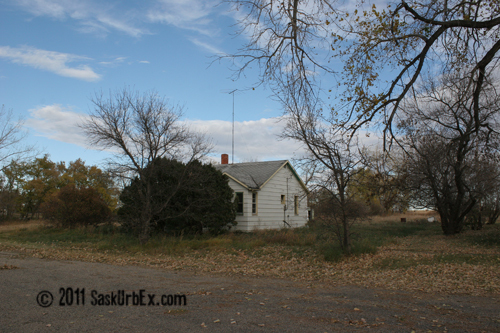 I think I could spend years documenting ghost towns in this province. 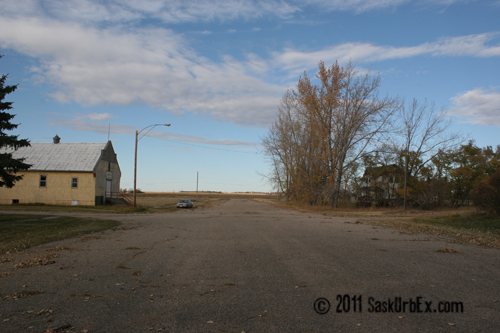 The first time I visited this town in 2009 it was officially a ghost town. It was winter and all the streets where snowed in, the few street lights were dark, and there wasnt a single person living in the town. 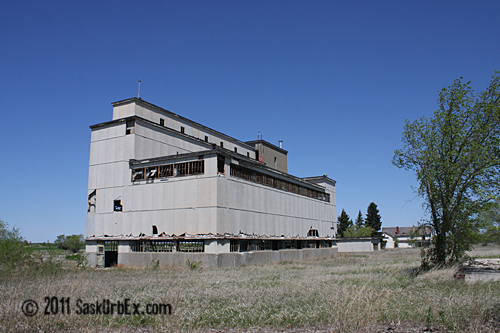 The remains at the time were approx 10 houses, a church, a rink and a movie theatre that was a hall in its later years  all recently boarded up by the Rural Municipality after the last few remaining residents were forced out. 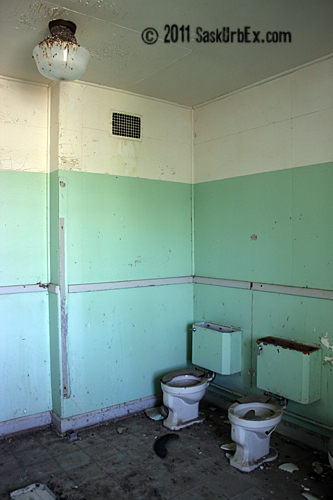 The buildings had been declared unsanitary and unfit for human occupation by the Ministry of Health after the water and sewer system for the hamlet had failed. It wasnt always that way  a century ago the village had 200 residents, a hotel, two banks, three grain elevators, and its own newspaper. There were a total of nineteen businesses. 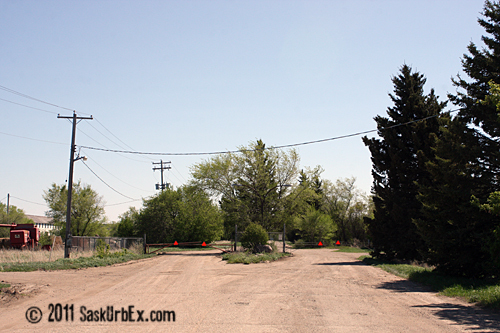 The years since have been tough on this town, the story is similar to the demise of hundreds of communities like this one in Saskatchewan. The boom of the 1920s fed all these communities and they all grew. The prosperity of the time looked like it was never going to end. 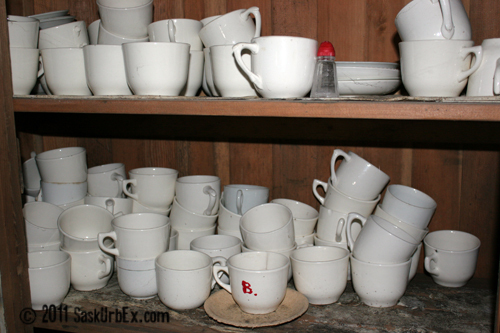 However the depression years of the 1930s spelled drought and hardship and these small communities began to wither. As time passed more businesses closed and one of the final blows to many communities is when the railways abandoned their small branch lines in the 1980s as the government stopped subsidising them. The railways were responsible for the start and growth of these communities was also responsible for their final demise. 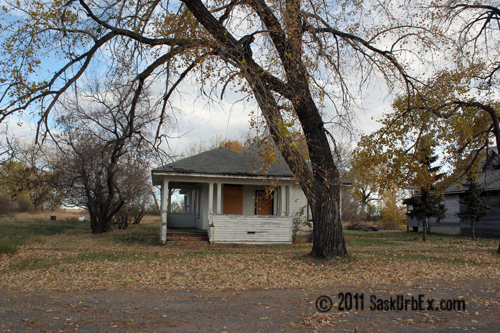 These photos are from the fall of 2011 and something interesting is happening in this town. There are a few houses that were sold and were being repaired. I thought many of them appeared to be beyond repair, but apparently there are some that believe otherwise. So this little town that boomed and then died out completely appears to have a little life again. We will see if this generation of settlers remain or if they will give up and leave like so many before them. Looking down what would have been a fairly busy main street a century ago. 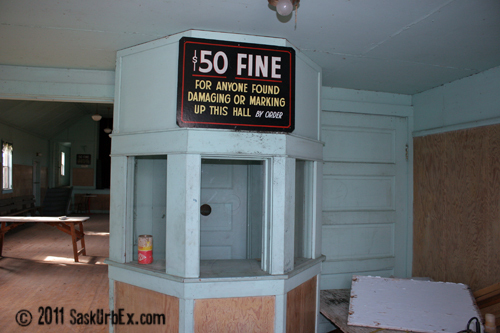 The ticket window for the old theatre that had been converted into a community hall. Looking towards the entrance of the hall. Vandals have for the most part have yet to find this location. I hope it stays that way. 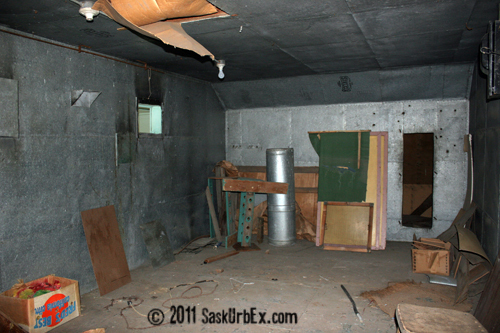 What remains of the projection room from it’s days of being a theatre. 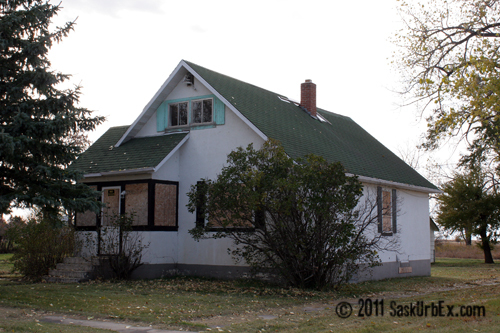 One of many boarded up homes. 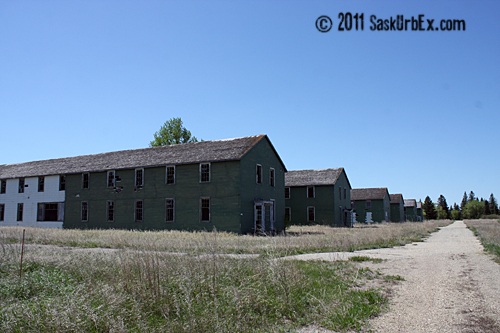 I have posted a US Air Force base on my blog before and I have explored some Canadian military locations however this is the first chance I have had to photograph a former Canadian Air Force Base. I have known of this location for several years but it was just one of those places that for some reason I never thought was worth the drive to see. I had seen other explorers photos of the base and always thought it was too far gone to have anything all that interesting to see, however I must admit I was wrong. 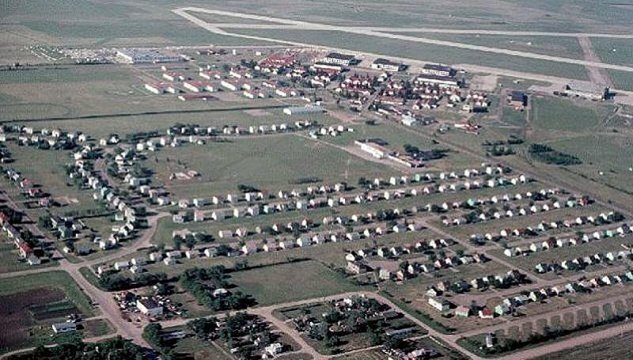 The base closed in 1971 and from what I understood the base was actively used by several businesses including a large hog operation. We originally arrived the night before but decided to wait until the following morning to access the base. 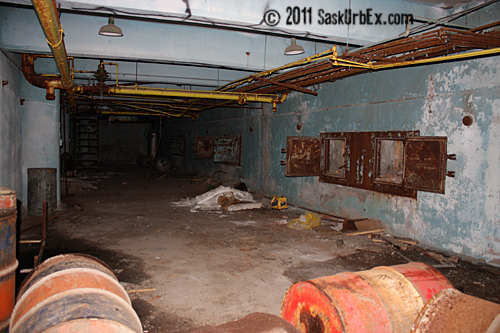 We approached cautiously as we werent sure how active the base was. 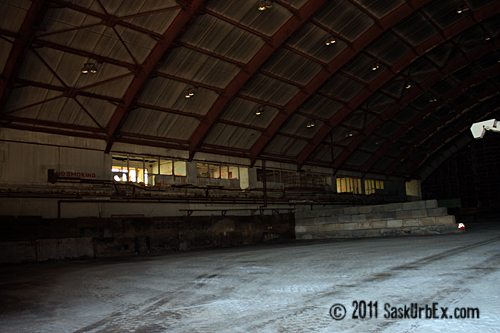 We found that the hog operation had not been used in quite some time however many of the original buildings had been converted into makeshift hog barns and werent exactly too interesting. 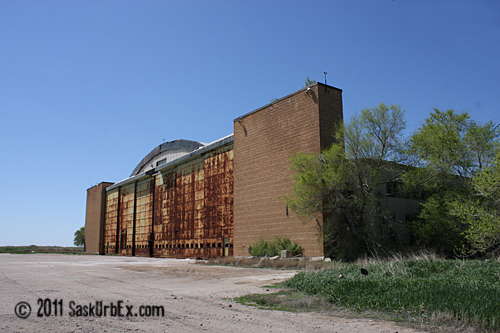 The most interesting things we found included some of the barracks that were very original and were still in good shape, the power plant although gutted still had some interesting things to see as well as a very large old hanger that appears to still be utilized for storage. 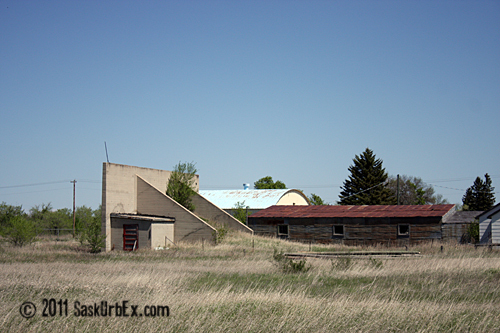 The size of the base was impressive as I have been to other old RCAF stations and found them to be fairly small but this base was many times larger than the average base even though a lot of it had been demolished over the years. 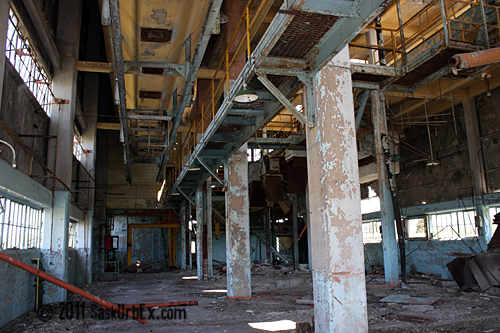 I am glad we took the time to see it as we noted that many of the buildings had evidence of recent asbestos abatement and on the ground we could see tracks from heavy machinery. 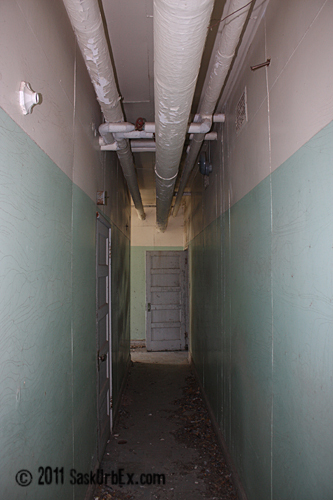 So it is a possibility that after the abatement that they will demolish some of the buildings. Today I am showing a quick overview of the base and will follow up with further posts on the base. These photos are from a trip about a year ago. During the spring when it was really tough to get anywhere due to the flooding we really didnt get out too much. Even this trip was spent dodging impassable roads and mud. This was a few locations that we visited one evening. 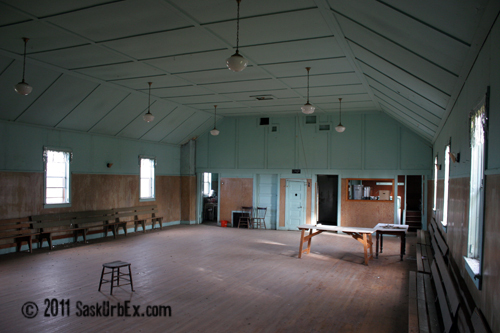 We hit up a couple farm houses and then a former community that only still has a church and a school. I hope to have another update shortly. The setting sun from one of the classrooms.